It is predawn on Nov. 13, 2010. The woods are quiet and the faint muffle of every step I take through the frost is the only thing to be heard. Cool, crisp air rushes through my lungs as I hurry into the darkness on this 20 degree morning. As I make my way along the field, I keep a wary eye out for any other nocturnal critters working their way along the field with me. Like them, I find most of my pleasure in the far early edges of the day. I get to the base of my stand and begin my ascent. Adrenaline starts coursing through my veins as I think about the potential outcome of my early venture. I anxiously take my seat and await daybreak. This is my favorite time of day, in my favorite time of year. I refer to it as Blue Dark. Blue Dark is the time when the woods begin to wake. I can hear the faint raspy call of a hen looking for her flock, the chatter of squirrels as the ground dwellers make their way through the woods, the sound of a screech owl giving praise to a new day, and finally the rattle of soybeans as deer begin their daybreak feast. As the shadows begin to fade away, I can make out three deer in the field. One of the three turns into a big buck with steam blowing out of his nostrils as he tends his doe. This picturesque scene does not last long though. As the sun begins to rise, the buck becomes skittish and makes his way towards cover. 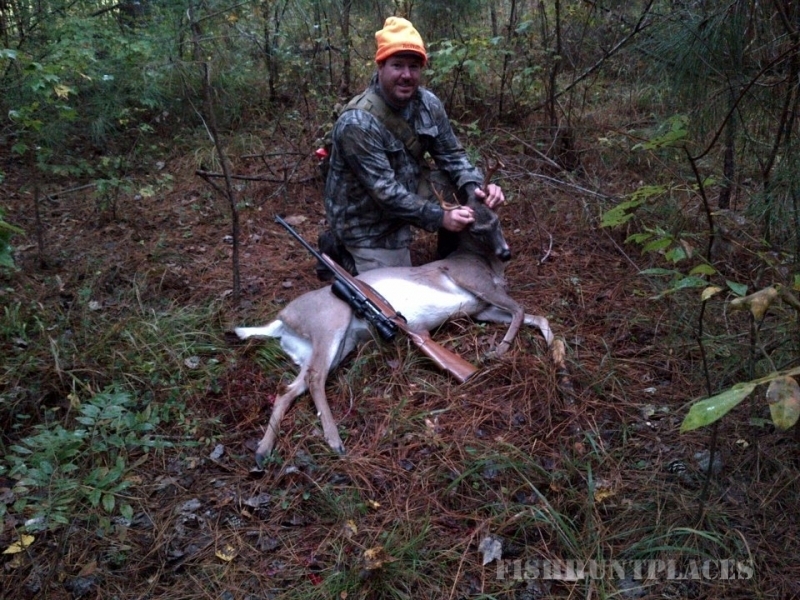 I shoulder my rifle and find the buck in my scope. The buck pauses one last time before entering the thick cover, and I squeeze off the shot. The loud bang stuns me for a second, but once I regain my composure, I see that I have dropped the buck in his tracks. I sit for a while and listen to my heart race. I replay and savor the events that have just unfolded. We as hunters know that we wait all year for an opportunity at a big deer, and the amount of emotion that becomes involved with a moment like this will change a person. Once I was able to get my nerves under control, I made my way down to the deer. It is not very often a buck’s rack grows from what you have imagined and hoped it will be, but on this occasion I was stunned at how big he actually was. I said a short prayer like I always do, thanking God for allowing me to harvest such an animal. My Grandfather is the next person I call upon, and when he arrived with help, it took four of us to lift the behemoth into the truck. That big buck scored 140 inches. He is my biggest deer to date, but I know that I still have many more bucks ahead in my life and many more Blue Dark moments when you are waiting in that brief instant between night and day when anything can happen. 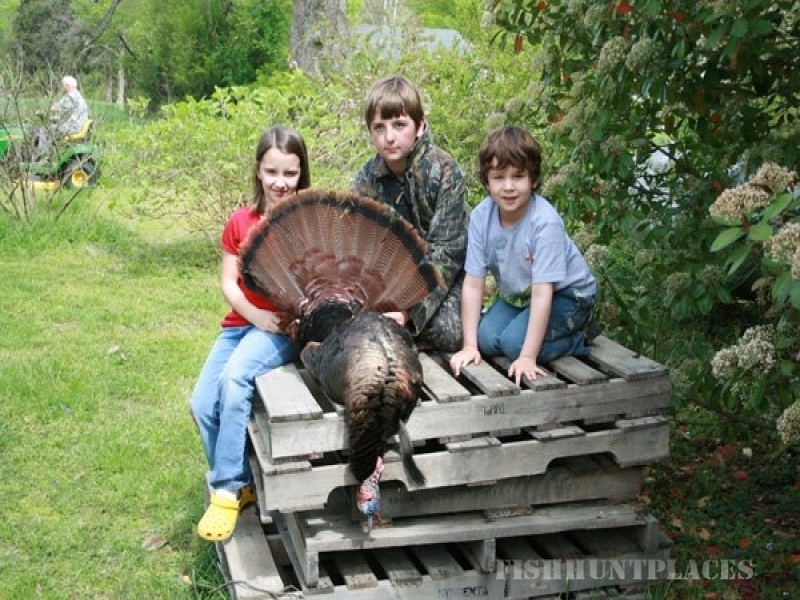 Ben Decker has been hunting in Northampton County, NC on his family’s farm from the age of five. He is now eighteen. 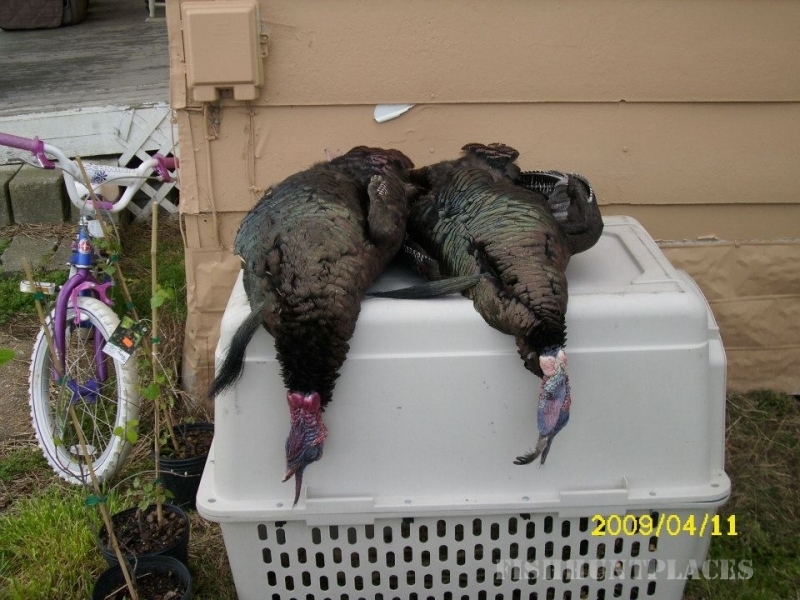 The above story is a recounting of his favorite hunt and the reason we chose to name our guide service Blue Dark. We hope to give you an experience that will live in your memory the way this one has lived in his.